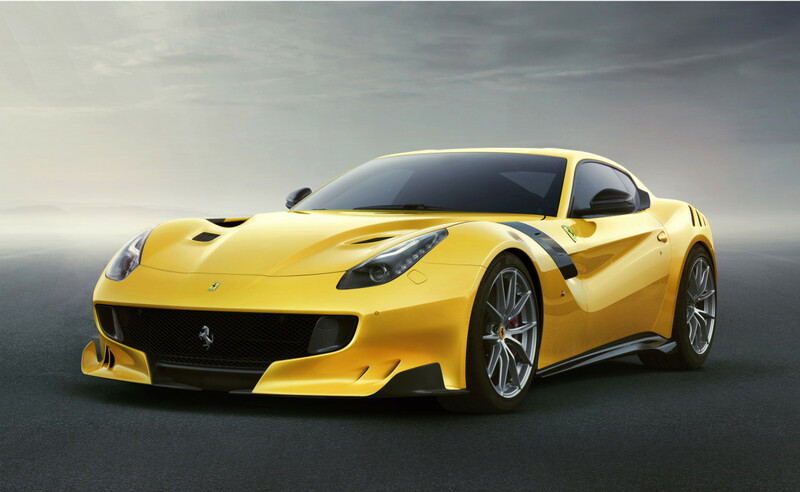 Celebrating its past wins in the Tour de France endurance races of the &apos;50s and &apos;60s, Ferrari presents a new version of the F12, the F12tdf. 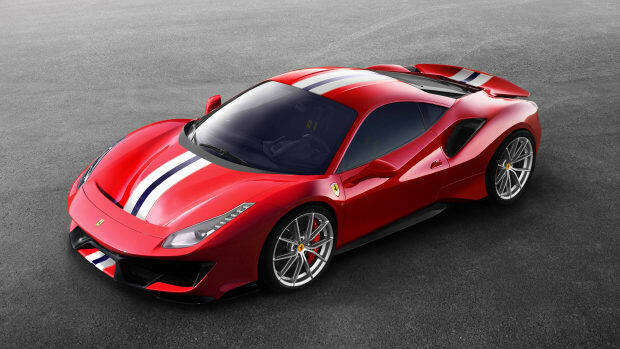 This special edition will feature a 769-hp V12 that launches the car from 0-62 in just 2.9 seconds, 0-124 happens in an incredible 7.9 seconds, and the top speed is over 211 mph. 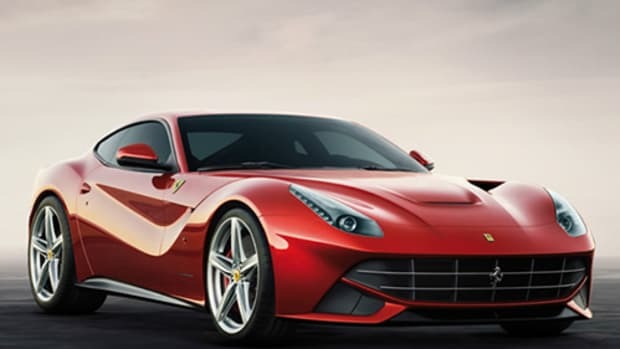 As you can you see there&apos;s been a number of bodywork modifications and improvements including new aerodynamics such as bumper with scoops, splitters, dive planes, and floor wings that greatly improve downforce. There&apos;s also a redesigned "aerobridge" and louvers on the rear wheel arches that also contributes to generation downforce. Of course, it wouldn&apos;t be a new Ferrari with some improvements to the driving dynamics. 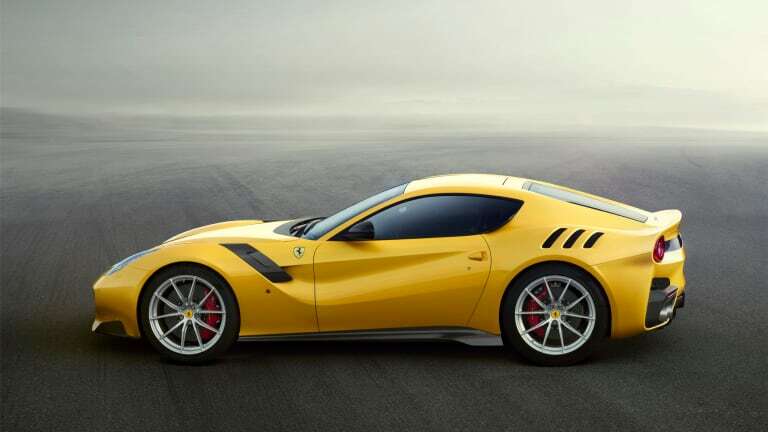 They&apos;ve focused on agility with what they&apos;re calling a "Virtual Short Wheelbase," a new feature debuting on the tdf that increases responsiveness and stability both on the track and on those windy backroads. 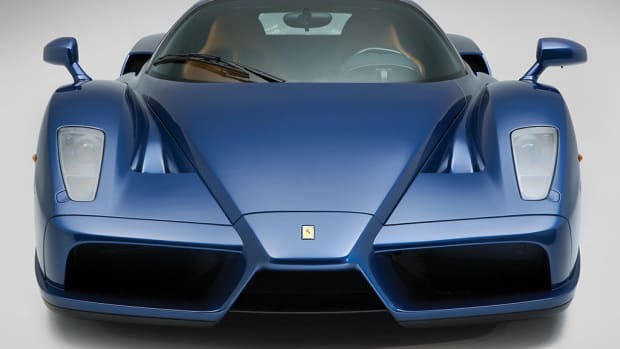 The rare hypercar is going on sale in London.